A basic truth about good art is that it comes from an artist who is compelled to create it. I have followed the work of cartoonist Tom Hart for many years and I consider him a friend. I can see that his latest book, the graphic memoir, “Rosalie Lightning,” brings out the best in him and what he can do as an artist. This is a story about grieving. 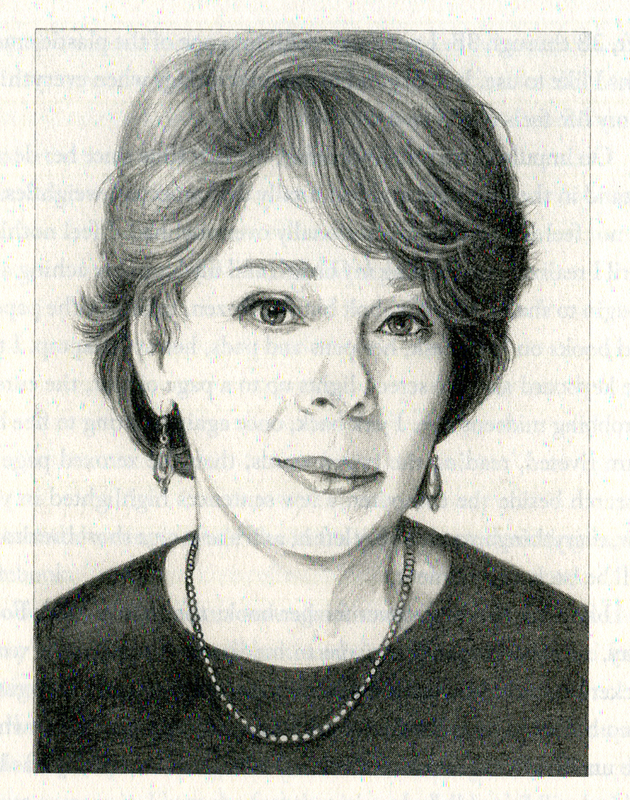 Tom and his wife, the cartoonist Leela Corman, suffered the loss of their daughter, Rosalie Lightning, a few years ago. She was nearly two years old. The process of grieving has no set amount of time. It can very well go on forever. However, for the sake of one’s own life, and one’s loved ones, there is also a process of acceptance and renewal. In his book, Hart explores all of this with great insight. 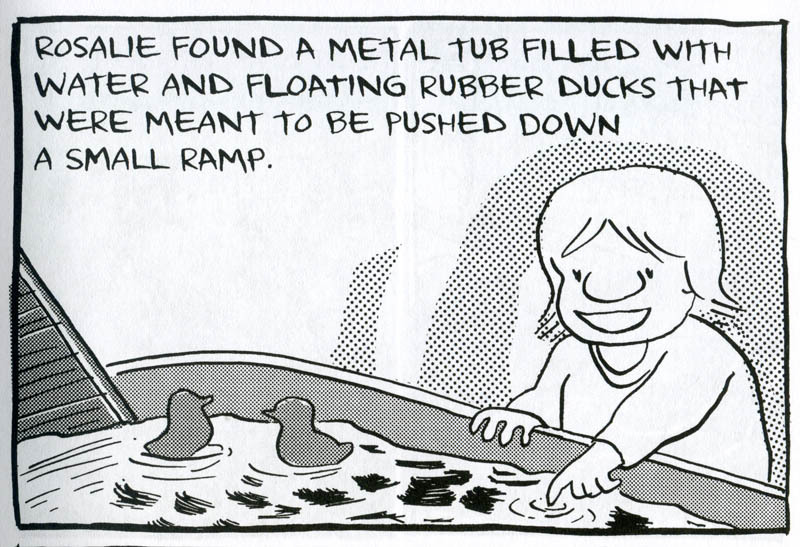 The comics medium can offer the reader entry into the mind of a cartoonist in a very distinct way. This often happens with a work from an independent creator who both writes and draws the work. 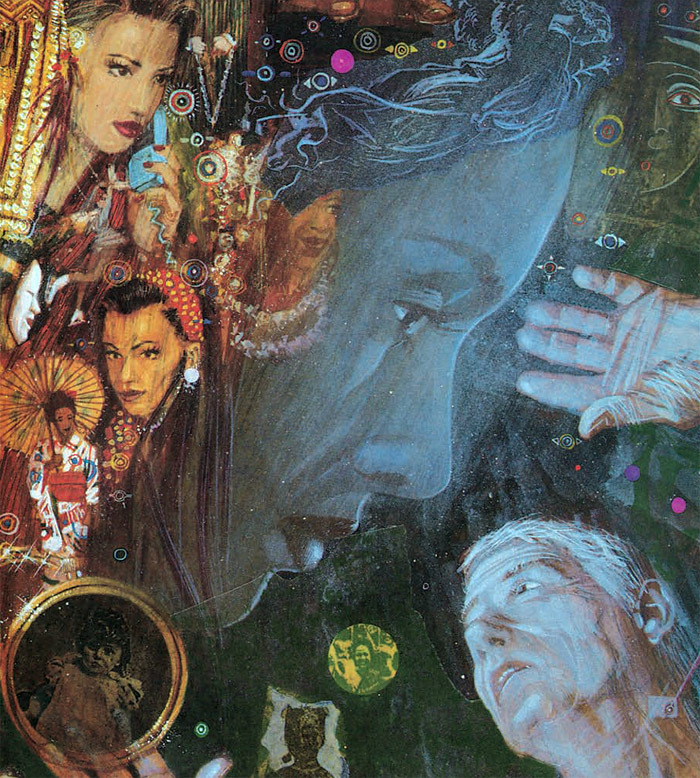 If it is a personal work, and the creator is up to the task, the reader will be swept into a myriad of observations made all the more tangible by the elastic and concise nature of comics. The words must be more condensed, providing a sharper impact. And then you add the immediacy and the intimacy of the drawings coming from the very same author’s hand. Tom Hart is in a unique position, as an experienced storyteller with a highly expressive style, to tell this story. One thing I’ve always admired about Tom Hart is his ability and willingness to open himself up to his readers. He is alright with presenting himself as a regular guy struggling with life in much the same way as we all do. Now, imagine a gifted storyteller like Hart dealing with the death of his baby girl. Is this a story he can even begin to tell? Is it one he wants to tell? You sense right from the beginning that he followed his instincts and chose to continue to share about his life through his comics. There was no set plan. The observations were intermittent posts on his blog. Organically, a narrative took root. And, I believe, the theme of exploring grieving naturally emerged. 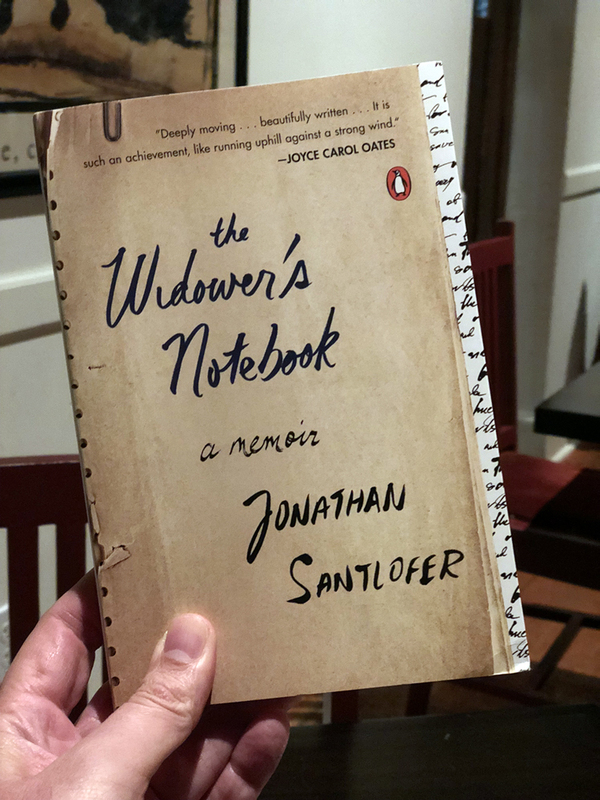 You find it throughout the book, first in moving recollections and later in greater detail as two parents walk in the wilderness and search for answers. Aside from the medical reasons, are there any answers as to why a beautiful toddler would die? That is the question that Tom and Leela struggle with. Was it somehow preordained? Both parents torment themselves by repeatedly posing that question. The thing about Hart’s comics is, by their very nature, they are direct and are brimming with immediacy. There’s an interesting tension created by a story following a circuitous and ambiguous path which is punctuated with sharp and forceful drawings. Hart combats a need to contemplate, and recede into the background, with a strong will to tell his story and keep moving forward in his life. Of course, the goal was never to forget but to find balance. Hart’s book proves to be an excellent work of self-discovery and of keeping the memory alive of a dear soul. 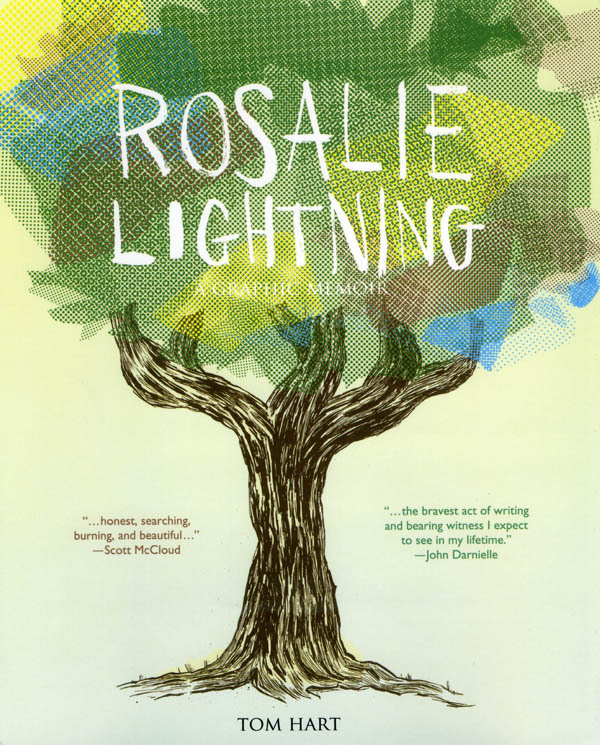 “Rosalie Lightning: A Graphic Memoir” is a 272-page hardcover published by St. Martin’s Press, an imprint of Macmillan Publishers. For more details, visit our friends at Macmillan Publishers right here. Currently on the shelves is a book with a bright orange cover and a powerful story about coping and understanding death and loss. Our lives can become so routine: work, eat, sleep, rinse, repeat. Ironically, the closer we come to death, the more we appreciate life. Just like they say, our lives flash before our eyes at a time of crisis. It can unnerve us. Americans, for example, have been thought to not deal too well with death. However, given the popularity of zombies, that overall outlook seems to be improving. And there are some cultures who appear to be more in touch with death. 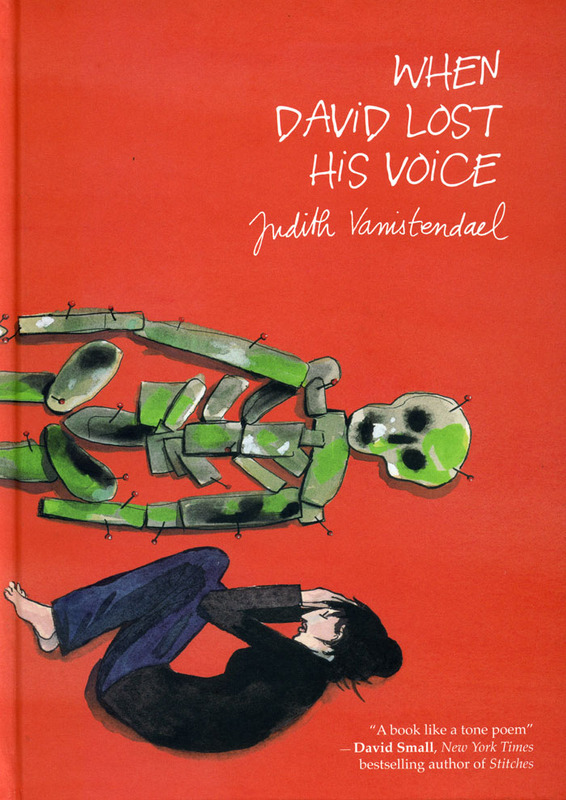 “When David Lost His Voice,” the new graphic novel by Judith Vanistendael, published by SelfMadeHero, gives us a story that shows how life and death can come to terms. It’s a story not without a healthy dose of good cheer. I recently viewed Julie Delpy’s “2 Days in New York,” a comedy about what happens when relatives from France descend upon a couple’s New York apartment for the weekend. In the movie, you see just how crude, or earthy, depending on your taste, these French folks can be. The humor itself felt French too, embracing the absurdity in life more than your typical American comedy. It seems to be a matter of dropping any inhibitions and yet done with a certain style. 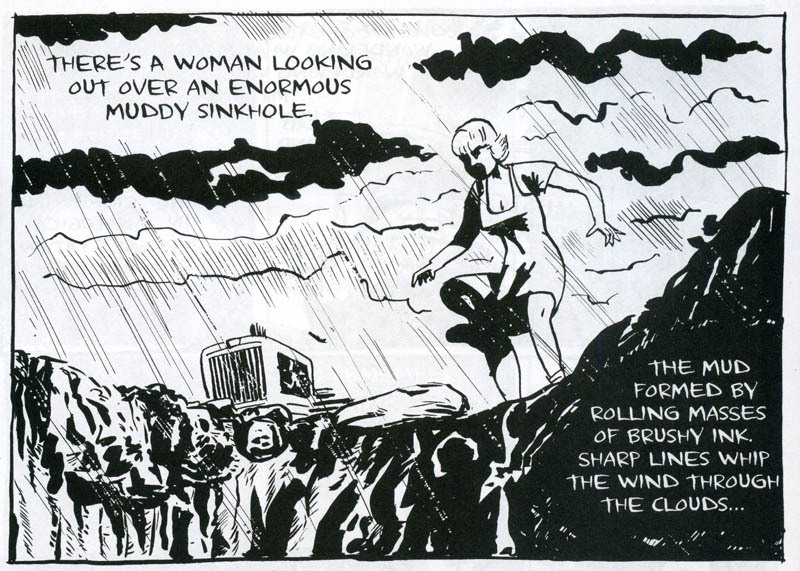 In that regard, I find a similar sensibility running throughout this graphic novel. It is the story of David, who discovers he has developed a cancer in his throat. He is an older gent who has a full-grown daughter, Miriam, as well as a 9-year-old daughter, Tamar, from a recent marriage to Paula. And Miriam has recently given birth herself to Louise. It is quite a premise: all these women are a vital part of David’s life and the prospects for his future don’t look so good. David is a special man who is well loved. He’s a man of few words. He prefers to let his actions speak for him. He owns a bookshop so he deals in words every day but, for seeking deeper meaning, he can make good use of silence. It is these qualities that are on display as he does his part to console Tamar, about the possibility he may not be around for much longer. He’s there for her. He’s attentive to her child’s viewpoint. David and his wife, Paula, tirelessly work together to keep their daughter calm, even if it requires adhering to an elaborate scheme to make it look like it’s possible to send mail back and forth attached to balloons. It’s almost easier for David to attend to little Tamar’s needs than it is to attend to the needs of anyone else. Miriam keeps seeing him as a ghost. Paula, an artist, reconstructs him from x-rays. Interestingly enough, it’s Paula who becomes very vocal and loses control a bit over all the quiet surrounding David. It’s bad enough that David won’t talk about it. But no one else is capable of articulating what’s happening either. Or does it just seem that way? Balance is gained when a child’s perspective, that sense of lightness, can be brought into play. Maybe mermaids, magic, and notes sent on balloons can help make things better. As long as everyone believes in hope and compassion, then the end need not be harsh and bitter. In a story that floats with such delicate ease, Judith Vanistendael does a beautiful job of evoking what is involved when all parties manage to transcend a crisis and create something new. 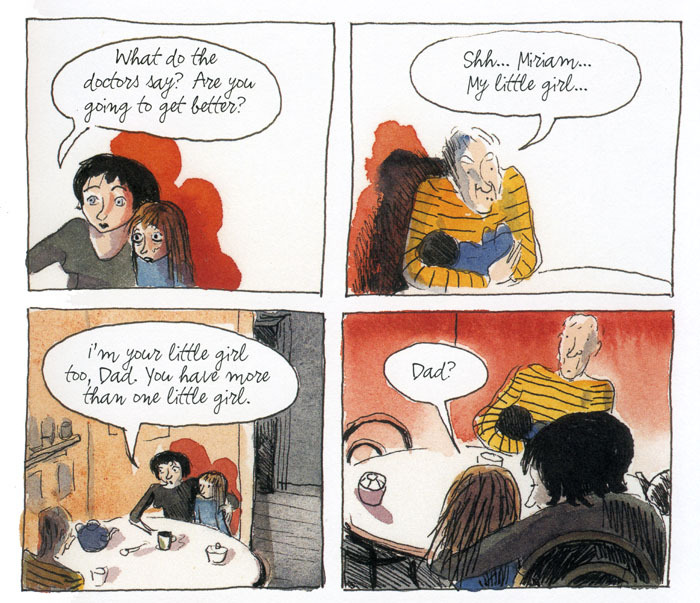 “When David Lost His Voice” is a remarkable graphic novel by Judith Vanistendael. 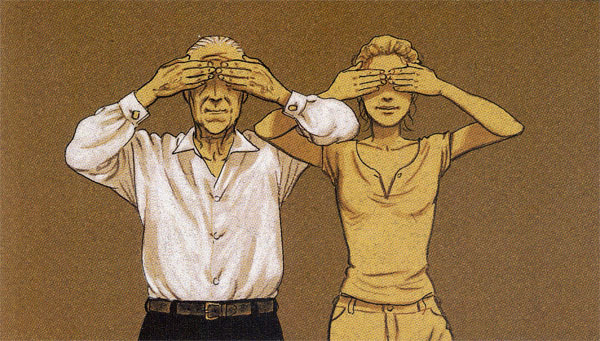 She is a Belgian author of graphic novels and an illustrator. 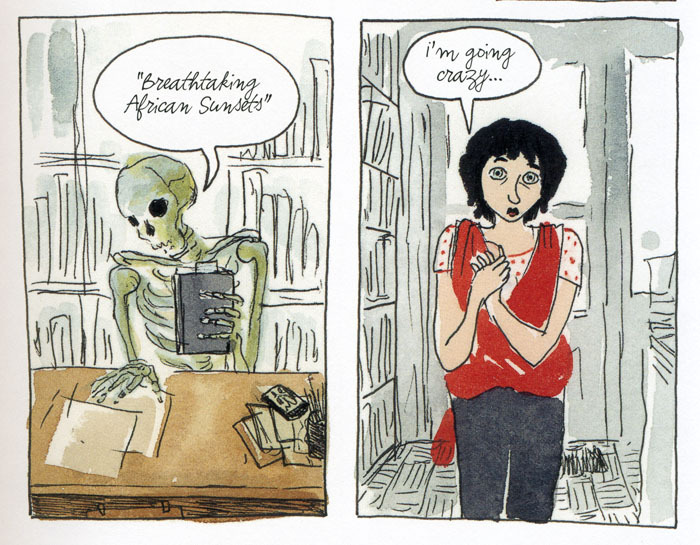 She is known for “Dance by the Light of the Moon,” two volume work also published by SelfMadeHero. 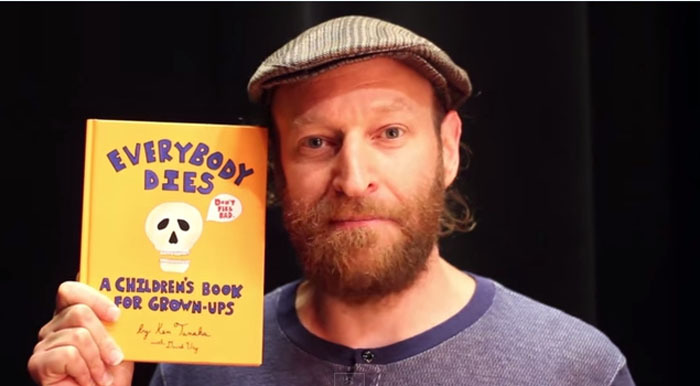 You can find out more about purchasing your own copy of this book here. KEVORKIAN is an in-depth look at Dr. Jack Kevorkian, the infamous right-to-die advocate. Filmmaker Matthew Galkin explores the full man as he follows the doctor on his last quest, a 2008 run for a seat in Congress, and goes back over a life that will leave a lasting impression on generations to come. Dr. Kevorkian died in 2011, at the age of 83. This film will be available as a VOD starting on January 15, 2013. The take away from this documentary is to know when you’ve won. Jack Kevorkian reached a point in his career where he could legally perform assisted suicides. He claimed to have helped end the suffering of upwards to 130 individuals. However, that was not good enough for Dr. Kevorkian. He wanted to officially settle the right-to-die issue once and for all by taking it all the way up to the U.S. Supreme Court. In his view, the only way to do that was to get himself convicted of murder. We follow Jack Kevorkian on his road to self-destruction with his push to get convicted for murder. From 1990 through 1998, Kevorkian had achieved numerous acquittals thanks to his attorney, Geoffrey Fieger. But, for his trial in 1999, he abandoned his attorney when he needed him most in favor of defending himself. While a brilliant mind, Kevorkian was completely out of his league in a court room. He recited Thomas Jefferson and Cicero and made an eccentric and histrionic plea that earned him 9 years in prison. He was not let out on bail, as he had planned. His case was not heard before the Supreme Court, as he had planned. He went to prison, as he had not planned. This documentary, and its subject, so inextricably linked with death, ironically provide some interesting life lessons. Of all the people who could have taken up the right-to-die issue, it had to be Jack Kevorkian, a most persistent but often disagreeable sort. But he was also a very sensitive and complicated man. We get to see how the theme of death haunted him and spurred him into action. He gained his nickname, “Dr Death,” long before he became involved with euthanasia. He was the one to discover how to best tell the time of death of a patient, which is crucial when harvesting organs for transplants. You simply need to examine the eyes. He was a lifelong celibate and, in his case, he cuts a rather lonely figure. What did he do for fun? Well, for one thing, he created paintings about death. Had a better adjusted person taken on the cause of the right to die would that person have made as big of an impact as Dr. Jack Kevorkian? Finally, with his death, his legacy has a chance to live on. 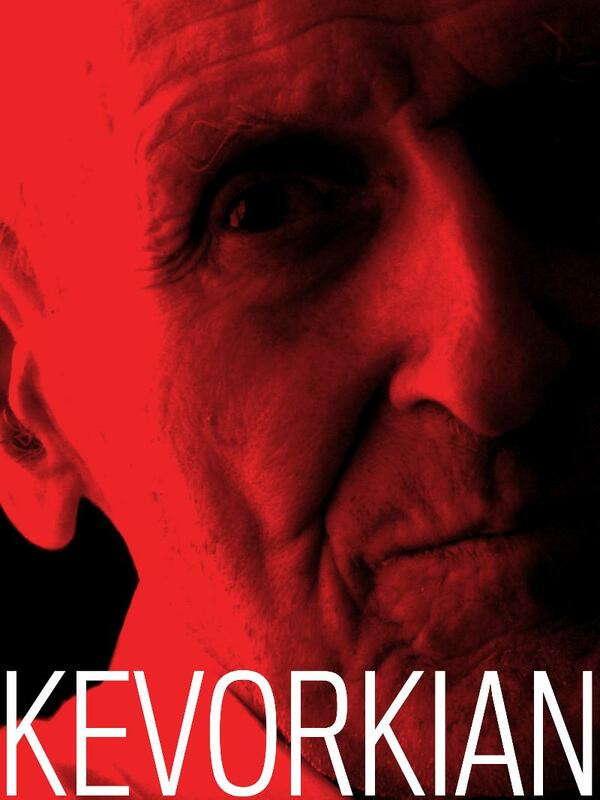 KEVORKIAN is released by Virgil Films. 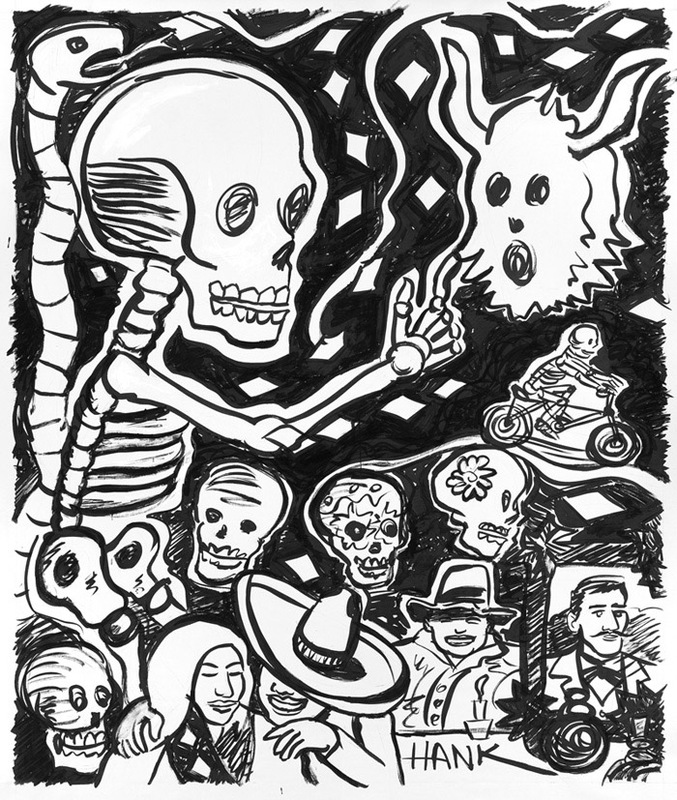 In keeping with the season, here is a work I did inspired by Dia de los Muertos. The original is ink on paper, 32×40. If you happen to be in L.A., Day of the Dead is on November 1 -2 this year and you may want to check out the party at the Hollywood Forever Cemetery. This one will be especially interesting if you believe in the Mayan calendar’s prediction of the end of the world in 2012.